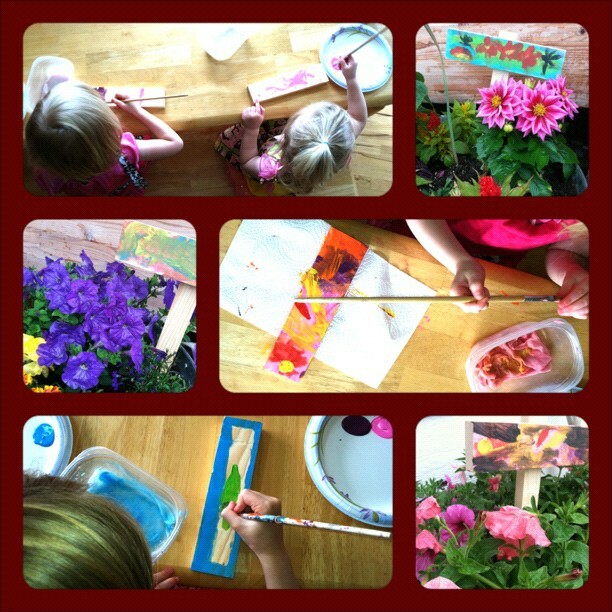 Pen Pals & Picture Books: What would grow in your garden? What would grow in your garden? Then, to add to the intrigue, Lilac heard that if you plant a meatball in the ground you'll grow a meatball tree-- really, this was apparently confirmed by her music teacher. So, with all this garden curiosity, I was excited when I found this book. 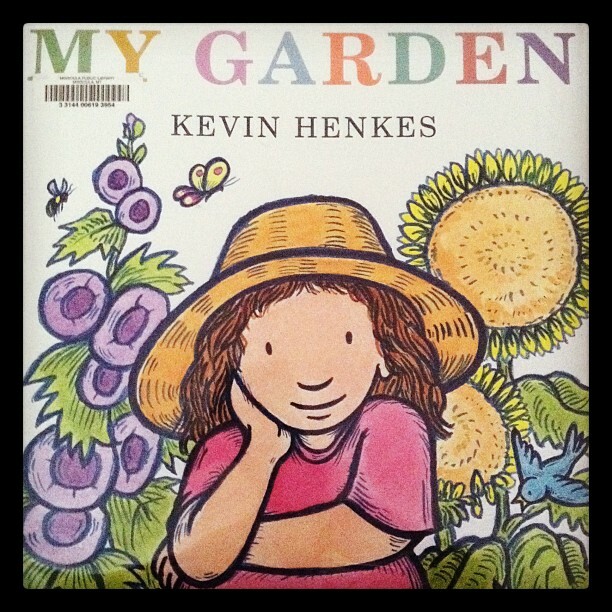 My Garden is another new find by Kevin Henkes. In the book a little girl daydreams about her own garden as she works alongside her mother in the family garden. While this is a different illustration style than we are used to in Henkes' mouse books, the pictures are just as enchanting. ...the rabbits wouldn't eat the lettuce because the rabbits would be chocolate and I would eat them. 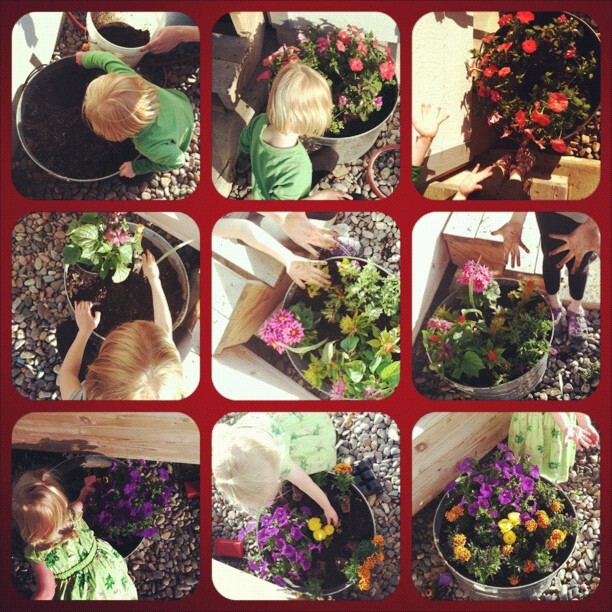 So, for such a long time I have been meaning to let each of my kids have their own flower garden. We have three barrels by the front door and this year we let each girl pick out flowers for one of the barrels and help plant them. You may think it's late to be posting this idea, but in our area it was just barely nice enough last weekend (for like a minute in between rain showers). Now, if it would just stop raining long enough for us to get outside and enjoy them. Oh well, I guess we can stay inside and read.